Welcome to cabin six. You will enjoy the space of this particular cabin. It has plenty of room for relaxing by the fire or playing board games in the living area with friends and family. Cabin six has one bedroom with one queen bed and one double bed and another bedroom with two single beds. The couch in the living area also pulls out into a double bed giving this cottage the ability to sleep eight people comfortably. If you get hungry, worry not. Cabin 6 has a newly remodeled kitchen ready for your use. It is equipped for light housekeeping and should have anything you would need for your stay. If you do not want to cook inside put on your chef's hat and try your talents at grilling. Once done you could sit on your own deck and watch the time go by. Don't worry about rain - your deck is covered. Cabin six has air conditioning to keep you cool and comfortable although the climate at Cozy Creek rarely requires air. 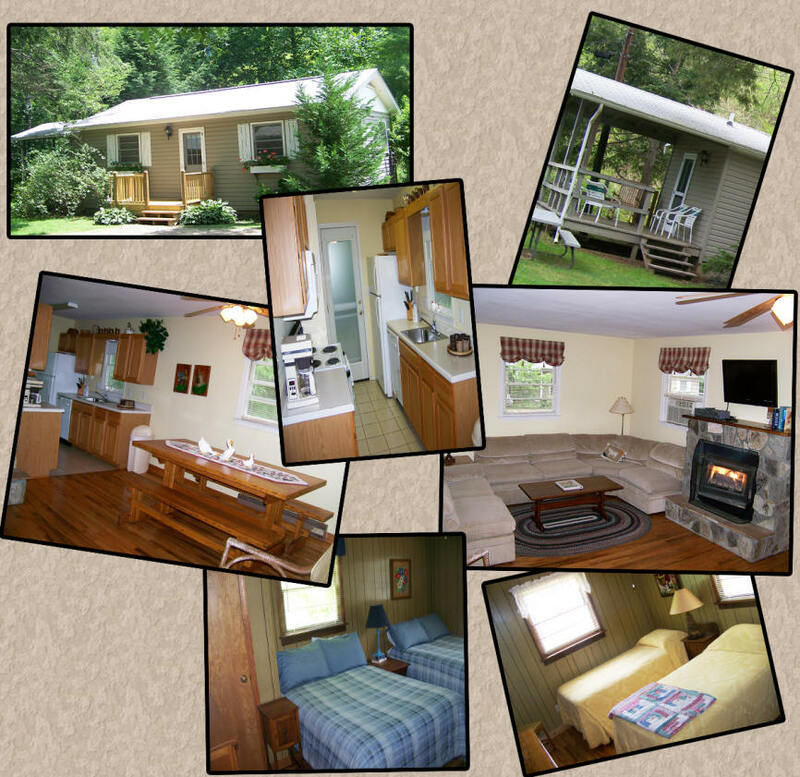 This cabin is not located on the creek, but access is available to all Cozy Creek customers.